The Labour Council has already reduced the opening hours of Lordshill Library to save money. 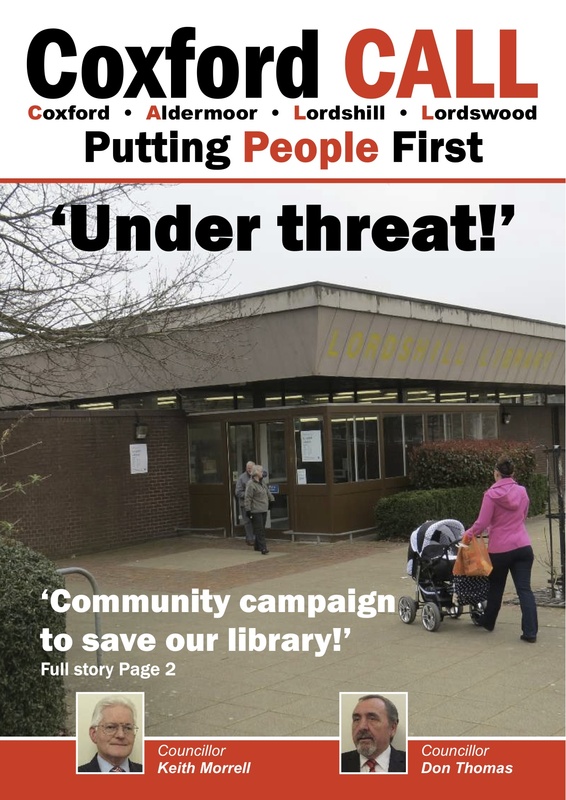 Now they are to carry out a so-called `review’ of all the City’s libraries, including Lordshill. walks away from yet another of its responsibilities and privatises yet another of our local community assets. Libraries are worth fighting for! Keith and Don think it would be a mistake to wait and see what the Council’s ‘review’ comes up with and are launching a community campaign to defend our local library. We want to keep our public libraries, staffed by dedicated professionals. Keith and Don are determined that Lordshill Library will not become just a dim and distant memory and believe the local community will once again rally behind the ‘Save Our Library’ campaign. This entry was posted in Uncategorized and tagged Labour Council, local community, local library, Lordshill Library. Bookmark the permalink.